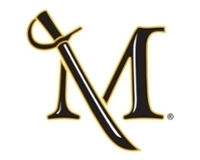 The purpose of this scholarship is to recognize students for academic excellence and encourage them to continue their studies at Millersville University. The student with the highest GPA, as determined by the University, who has earned more than 57 but less than 72 credits upon completion of the spring semester. The award winner must have been a full-time student during the current academic year. A student who receives partial or full tuition waiver from any source is not eligible for this scholarship, but will receive a letter in recognition of his/her academic achievement. A student may receive this award or any part thereof only once. For a complete list of all scholarships available at MU, click here.